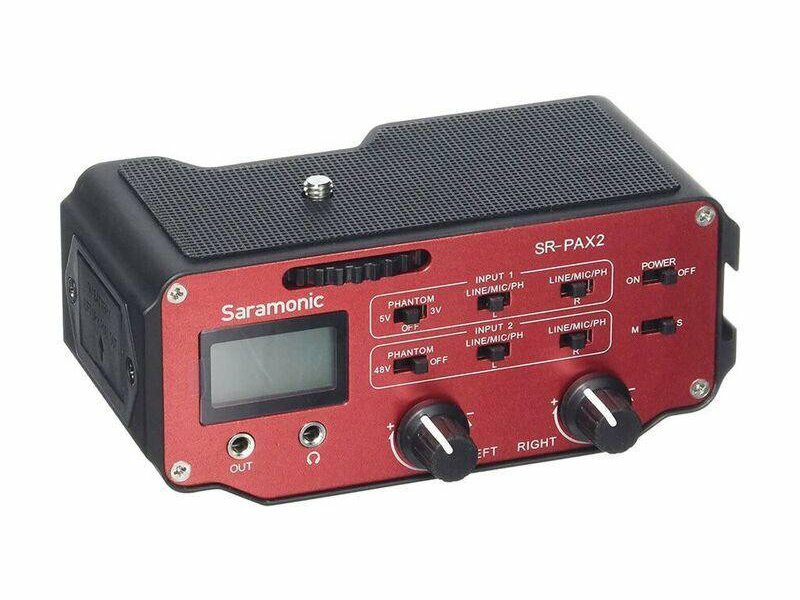 The Saramonic SR-PAX2 is a multi-channel mixer and microphone preamplifier that was designed to be used with compact mirrorless cameras and the Blackmagic Pocket Cinema Camera, but it works perfectly with DSLR and video cameras as well. 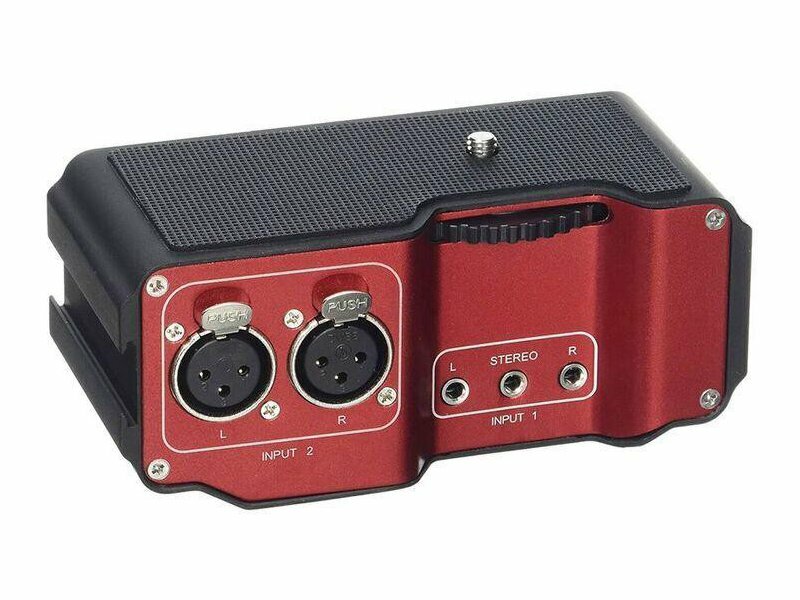 The rear panel features two XLR inputs and three 1/8“ (3.5mm) inputs. 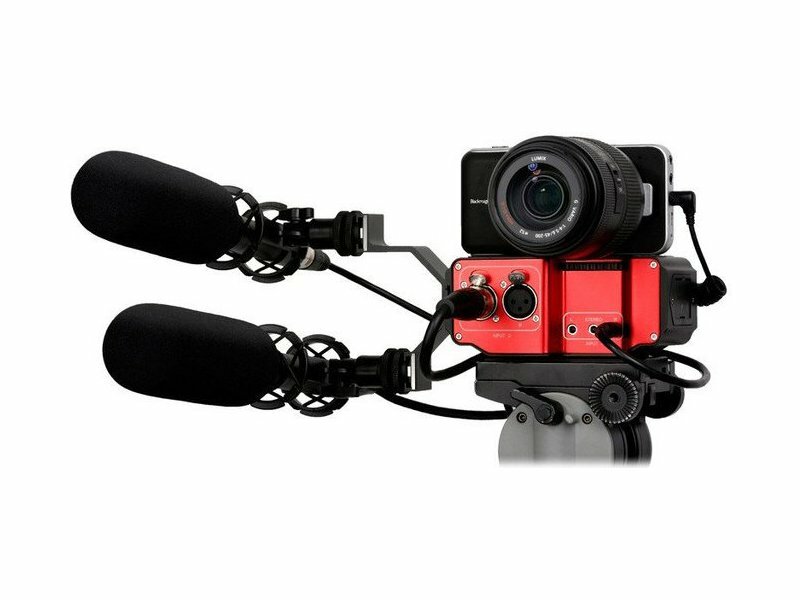 This makes it possible to connect professional microphones, audio mixers, consumer microphones, the headphone output of a smartphone — any combination of audio sources can be plugged into your camera and recorded with broadcast-quality sound. The body of the PAX2 has an ergonomic design that doesn’t inhibit how you handle your camera. 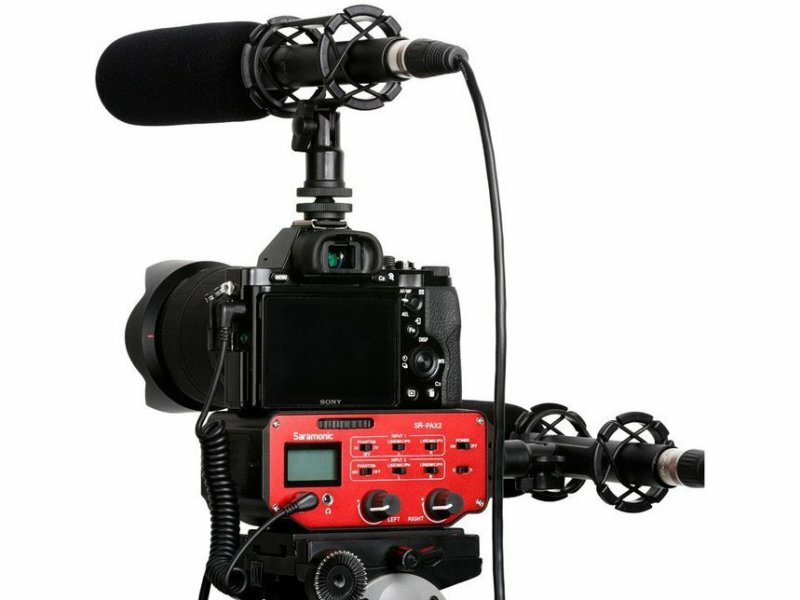 The XLR inputs can provide condenser microphones with +48 volts of phantom power, or be switched to accept line-level signals from field mixers, DJ mixers, etc. The 1/8“ (3.5mm) inputs can be set to provide two levels of plug-in power for microphones that need it, or none at all to save battery. The backlit meters display lets you easily see your audio levels and other information. The PAX2 features a dedicated headphone jack so you can always monitor your sound, even when your camera lacks a headphone output. 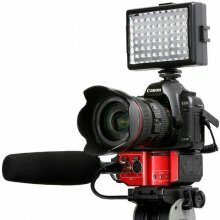 The top panel provides a tripod mount for your camera, and a handy wheel makes attaching and removing it a breeze. The base has another thread to attach the PAX2 to a tripod, and a 3/8“ thread is also provided for additional mounting options. 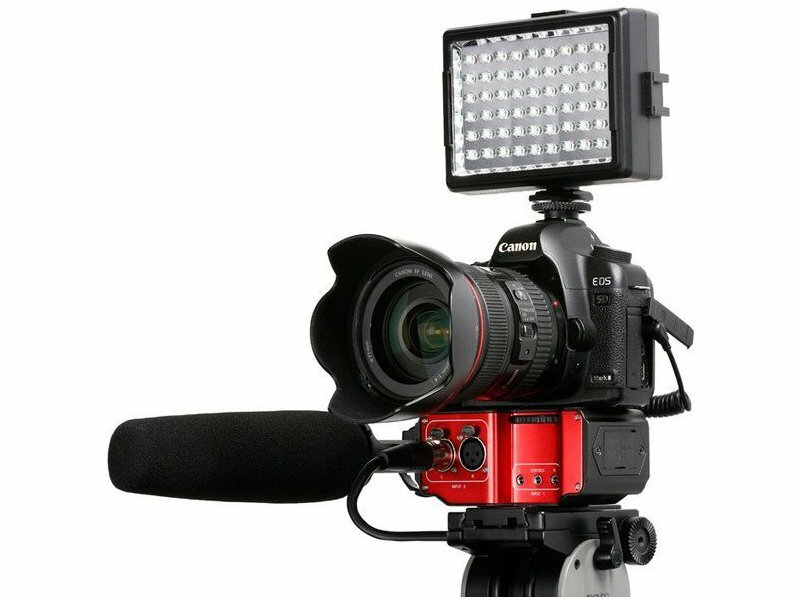 The entire right side is a female camera shoe mount, which is perfect for mounting a wireless microphone receiver or another piece of equipment. The PAX2 offers everything you need to capture pristine sound in any situation with a variety of cameras, and its all-metal construction is ready for the rigors of production.